While there are many people spouting the values of socialism today, as business people we are ultimately reliant on capitalism for our well being. No matter what your political opinions, privately owned businesses are creations of capitalism. That doesn’t mean that your business shouldn’t be active in building your community. In fact, building your community is part of corporate responsibility and goes a long way to helping you connect with your community and consequently potential customers. 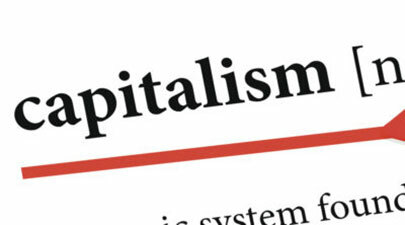 Capitalism is necessary for the success of our way of life. What those preaching socialism fail to understand is socialism requires decisions be made by a few leaders. This eliminates diversity and all the benefits of diversity. There is also a bigger issue. Despite classic definitions of the economic models, today’s socialism deals primarily with the distribution of wealth. By contrast, capitalism deals with the creation of wealth. Even a die-hard socialist has to understand that you cannot distribute what you don’t have. Don’t worry about the current political climate. Build your business and keep going.